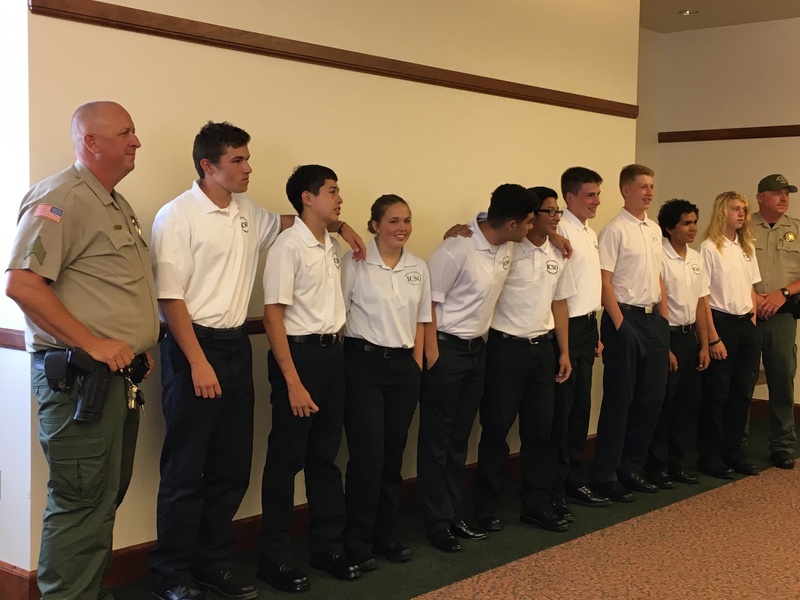 CEDAR CITY – Following three weeks of intensive physical and mental training, nine high school students recently graduated from the Iron County Sheriff’s Office Junior Deputy Academy with a lot more than they bargained for including more self-esteem and a deeper understanding of what it takes to be a police officer. The Academy accepts youth from ages 14 to 19 and involves three weeks of training. Topics covered throughout that time include firearms, defensive tactics, constitutional law, emergency vehicle operations, physical training, less lethal weapons, correctional law, state law, DUI and drug investigations and vehicle searches. Every summer a different set of teens rotate through the Academy, each group with their own special assets and unique challenges, said Iron County Sheriff Mark Gower. This time around, the group was unlike any others that had come before, Sgt. Nik Johnson said. Johnson has facilitated the Academy since its inception seven years ago and has had the chance to see each group of graduates through from beginning to end. “This group really came together really fast,” Johnson said. One of the most difficult challenges facing the youth is usually the physical element of the Academy that includes daily pushups and jogs starting with running a mile and a half and increasing from there. Many of the students end up dropping out early on because of this, Johnson said. This year the students, who are expected to learn how to work as a team, didn’t allow that happen. Instead, when one of their classmates, Will Donovan, pulled a no show they showed up at his home to drag him out of bed. While Donovan said he was a little shocked, it was this experience that motivated and challenged him to keep going and ultimately successfully graduate from the Academy. “I learned how to be part of a team because of that experience and how important working as a team is,” Donovan said. The 15-year-old graduate said he plans on coming back next year and attending the Academy again. Students choose to attend the Academy for a myriad of reasons. For some it’s because of the benefits they’ve seen the program have on their siblings or friends. This was the case for 14-year-old Hugo Santiago, whose older sister Jasmine Santiago, 16, graduated from the program the year before. “I wanted to go through the program but because she went through it I thought I could do it too,” Hugo Santiago said. Jasmine Santiago said she believed the Academy gave her a jump start on life. The parents of Jasmine and Hugo Santiago supported their children through the program and said they felt it opened doors of opportunity they wouldn’t have had otherwise. 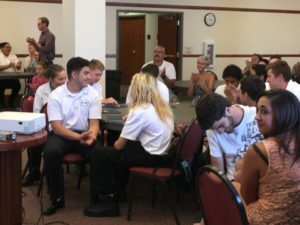 Others go through the program to learn more about law enforcement with the goal of someday becoming a police officer themselves. 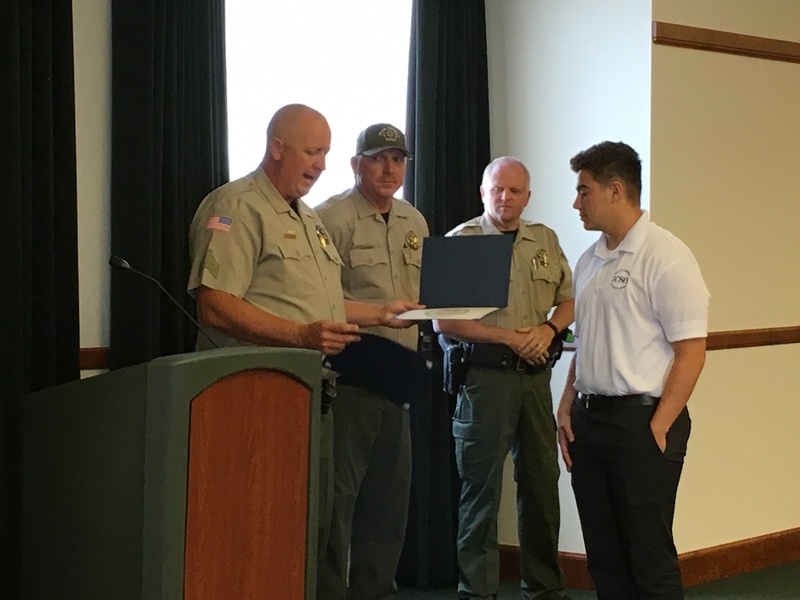 For Adam Spaugy, 18, the Academy gave him a glimpse into what his future career looks like and what law enforcement really goes through behind the scenes. Spaugy was particularly surprised at how little respect and appreciation the officers get. “It was shocking to me how often they get sued and how little respect they get when they’re out putting their lives on the line to protect and serve the community,” Spaugy said. The Iron County Sheriff’s Department offers the Academy every year in June. Registration begins in the spring. People interested in attending can contact the sheriff’s office at (435) 867-7500. There is no cost for tuition or materials. Lunches are provided. The student is required to purchase uniforms that are generally less than $100. If the cost is unaffordable, however, other arrangements can be made. No student will be turned away for financial reasons.